Half day, non-contact camp. No previous football experience necessary. Instruction and drills with a focus on proper fundamentals and technique, for both offensive and defensive positions. Campers are encouraged to have fun, exercise, and do well in school through motivational talks. All activities are overseen and coached by Utah Football Staff and Current Players. This camp is open to any and all entrants, restricted only by age. Camper pick-up will be at 12:00 PM. The pick-up location will be on Guardsman Way in front of the Eccles Football Center. Please pick up your camper on time! 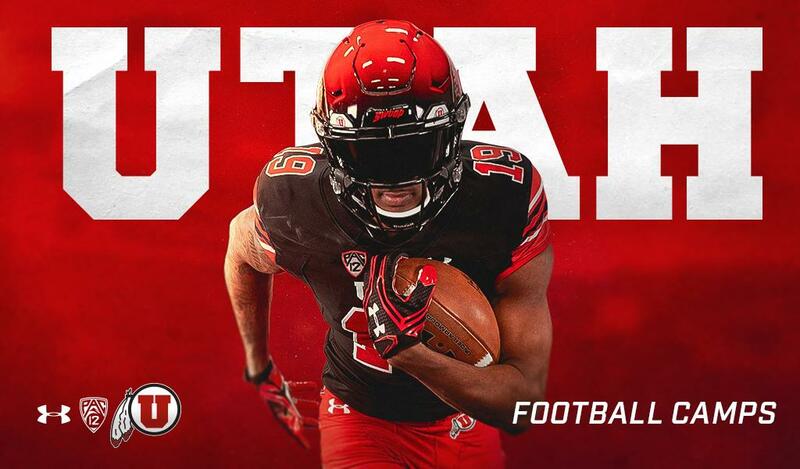 Practice will be held at the Spence Eccles Field House (indoor practice facility), and the Utah Football Practice Field (immediately west of the Spence Eccles Field House). Please park in the Guardsman parking lot directly east of the Eccles Football Center on Guardsman Way. All other campus parking lots and street parking will be subject to parking tickets by University Police and the Salt Lake Police Department. Any citations issued will be your responsibilty for payment. This is a non-padded camp. Shirt, shorts, and football cleats or sneakers are recommended. Each camper will receive an official Utah Football Camp T-Shirt. Lunch will be provided. Water will be available to campers during practice. Parents and family are welcome to observe camp. Please keep your chairs as far as possible from the sidelines and end zone areas. Each camper must be covered by his or her parent’s medical insurance. A professional medical trainer is on duty at all physical activities during the day. If your child is injured and needs to be taken to urgent care, we will attempt to contact you first. If we are unable to contact you immediately, your child’s safety is our first concern and he or she will be taken to the proper medical facility. Every attempt will be made to contact you subsequently.